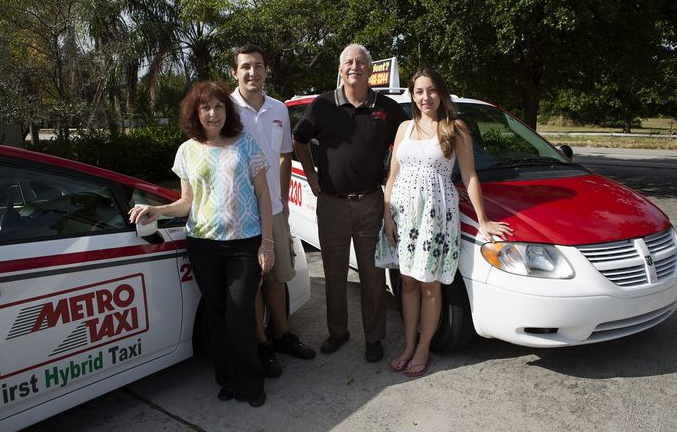 Metro Taxi of Palm Beach County is a locally owned and family operated taxicab service provider serving Boca Raton, Delray Beach, Boynton Beach and the greater South Palm Beach County community. Our 25 years of experience brings a sense of familiarity and quality to our customers resulting in unparalleled customer service not found with other transportation providers. In addition to being a fully licensed and insured taxicab company, we operate sedans and passenger vans at regulated taximeter rates. Metro Taxi has a proud reputation of providing prompt and courteous personalized service to our customers and clients. Our knowledgeable and customer friendly staff enables Metro Taxi to stand out as a valued transportation service provider to the area. Metro Taxi is open and fully operational with computer assisted radio dispatch 24 hours-a-day, 7 days-a-week, and 365 days-a-year. In our constant effort to maintain and improve upon safety, quality, convenience, and efficiency for our customers and passengers, all of our vehicles undergo routine scheduled maintenance and are equipped with GPS tracking and navigation. Our drivers are certified by the Palm Beach County Department of Consumer Affairs and undergo a comprehensive in-house driver training program. Additionally, as an added service and convenience, we accept all major credit cards in all of our cars. Metro Taxi is also a member of the Greater Boca Raton Chamber of Commerce, the Palm Beach County Consumer Affairs MVP Program, and the Taxi, Limousine, & Paratransit Association (TLPA) which is the only national organization in the United States that represents the taxicab industry.